Who do you think will join The Firing Squad? Ever since the group's inception at The G1 Specials in San Francisco, The Bullet Club Firing Squad has been making the news headlines for all the controversial reasons, thanks to their newly adapted notorious reputation. 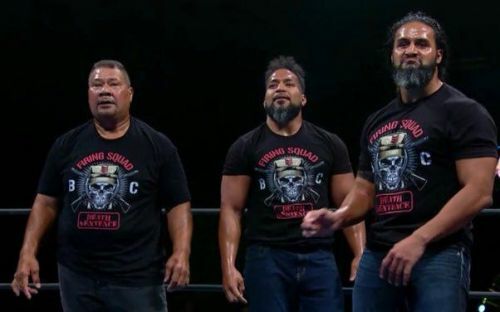 Led by the the Tongan trio of Bad Luck Fale, Tama Tonga, and Tanga Loa, The Firing Squad has definitely made a huge impact in New Japan Pro Wrestling so far, given the fact that the group has already put the entire Bullet Club Elite on notice, following a gruesome beatdown at The Cow Palace earlier in the year. Following the recent conclusion of the G1 Climax 28, we now know for sure that The Bullet Club Firing Squad currently imposes four top members, as top NJPW Jr. Heavyweight Taiji Ishimori has sided himself with the group. Ishimori, who is also recently joined by the likes of Gino Gambino and Hikuleo (who is also expected to side his Tongan brothers), will be looking forward to helping The Firing Squad "cleansing" The Bullet Club and take it way back to their OG days. However, in order to win a war, you must have proper associates siding with you and as far as The Firing Squad is concerned, the group is currently a bit short in terms of numbers, given the fact that The Bullet Club Elite already consists of eight members in their ranks. With that being said, here are five potential superstars who could join The Firing Squad in the near future and eventually help the likes of Tama Tonga and Bad Luck Fale in order to conquer The Bullet Club Civil War. The Bullet Club Elite's connection with Ring of Honor is definitely a very strong ground base, given the fact that the group is mostly exclusive to the ROH brand (other than the likes of Kenny Omega, Yujiro Takahashi, and Chase Owens). The Firing Squad, meanwhile, is completely based on NJPW and have all their members working exclusively for the Japanese promotion instead. 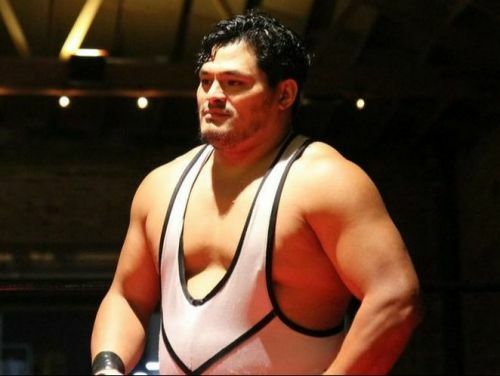 Therefore, there is certainly no surprise to the fact that The Firing Squad could use a helping hand from the ROH brand if their plan is to indeed "clean" The Bullet Club and what better way to start other than recruiting the services of a living monster in the form of new ROH signee Jeff Cobb. The former Lucha Underground Champion is an absolute machine and could very well take out the entire Elite Team all by himself. Imagine him wrecking havoc with Fale and Haku, The BC Elite wouldn't stand a chance!